Living peacefully with your body - that is the one you actually have, not the aspirational one you strive and work toward, but never quite achieve - is a foundational piece of self care. But it is also a piece of self care that few of us are good at.Meredith Noble is a coach who helps plus-size people make peace with food and their bodies, so that they can live full, engaged lives without the weight of shame and self-hate that may have plagued them their whole lives. 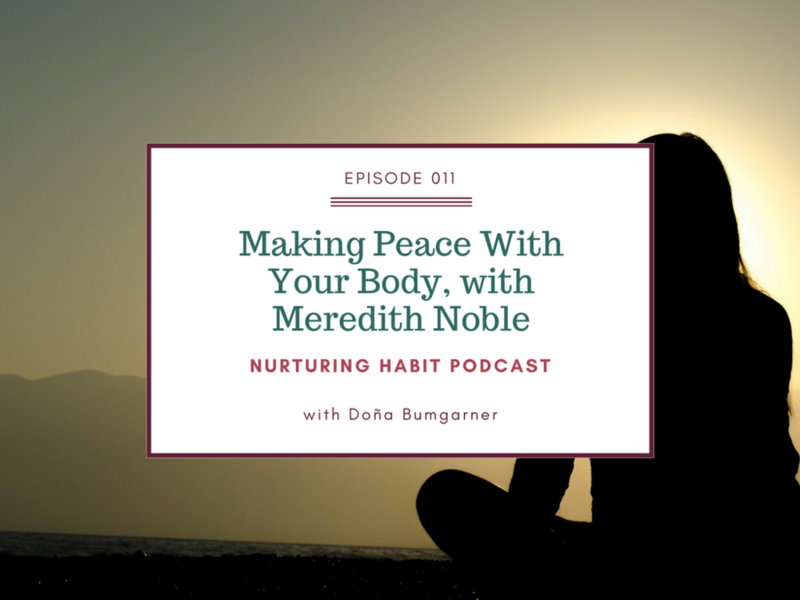 In this episode, we talk about the many steps along the path to body love, and how finding pleasure in your body can be one of the first steps. Even if you don't identify as plus-size, there is a lot in this episode for anyone who would like to live in their skin more comfortably, with more self-love. and leave a rating and a review. They are very helpful in making it easier for others to find the show.